Just a note to tell you that I love your product! We got some when we bought some bras at Secrets From Your Sister. Then when we were running low I was very happy to find it at the Cloverdale Sewing Centre — I live in Etobicoke. And I was delighted to find out it is Canadian! That’s correct Lori! We are proudly a Canadian company. Thanks for your great email! Of course, Austen isn’t the only one who likes to co-ordinate her knits! If you’re also a fan, be sure to check out our new Heel Soakboxes. Along with a gorgeous sock pattern by Fiona Ellis and a skein of delicious Lorna’s Laces Shephard Sock yarn comes matching Essie nail polish, Soak and Heel! Here at Soak we’re always proud to show off a new project but when our nails match our knits, we can’t resist! 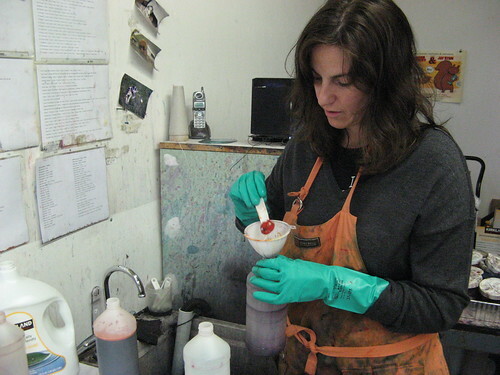 Our friend Virginia from the Boston based shop Gather Here is currently doing some costuming for the film industry. 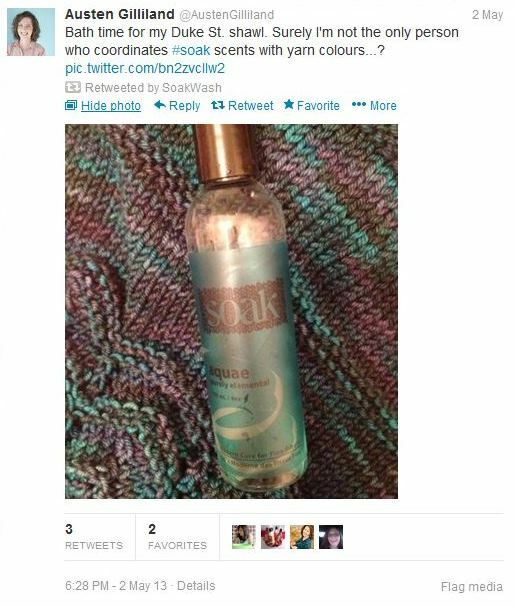 We have had a lot of fun keeping up with her finds on twitter and instagram, as well as her uses for Soak products at work! There are so many knitting and lingerie events around North America, it is hard to keep up! We have a few that we do regularly and we love seeing everyone at those shows. We are super excited that even though we won’t be there personally, Soak still has a presence at many events, marketplaces and tradeshows thanks to our distributors, Louet and Bryson, as well as many independant retailers as well. 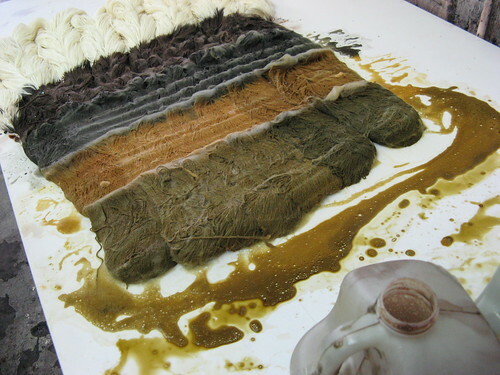 Soak will be officially taking up a corner of the Top Shelf Totes, booth number 1140 at Stitches West, February 21-24. 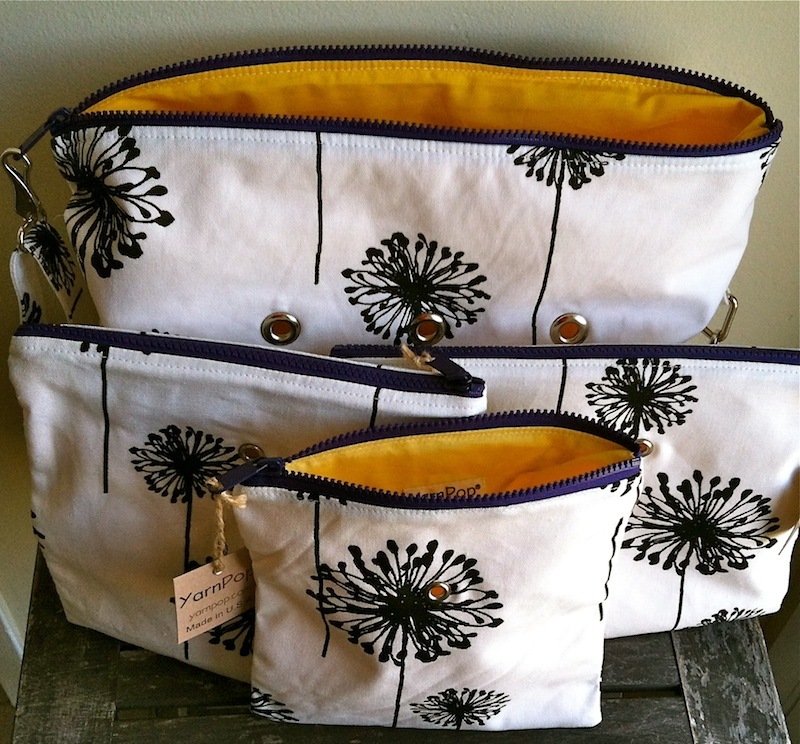 We met Lori a few times over the last few months and fell in love with her sewn project bags. 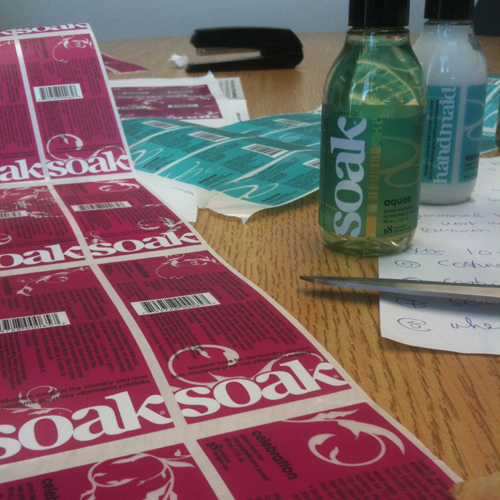 Lori will have the full range of Soak products, including our brand new Yuzu scent and Elvis Paisley Soakbox. This will be Yuzu’s first appearance in a marketplace, we are so excited for you all to see it and smell it. Yarn Pop has matched up some of her prints with Soak labels to make perfect little gifts. I think that a little knitting bag is the only thing that is missing from a Soakbox! Top Shelf Totes are all fully lined with a large tooth zipper, so they are very sturdy. You can feed your yarn through the grommets in the side so that there is no worry of the yarn getting into a tangly mess inside your purse. These would also be wonderful for non knitters as a toiletrie bag with some Soak and Handmaid. They look ready to go on an adventure together. Thank-you so much for hosting us Lori! We wish we could be there as well. We love feedback on the blog (clearly you know about it, as you’re already here!) As you may know we just ran a Soakbox contest, promoting our Knit-A-Long, leading up to the holiday. We asked a question. “What is your preference: french manicure, or solid colour for your nails?” All you had to do was answer. (we keep it simple like that). This was one of our favorite comments, among the hundreds that poured in. 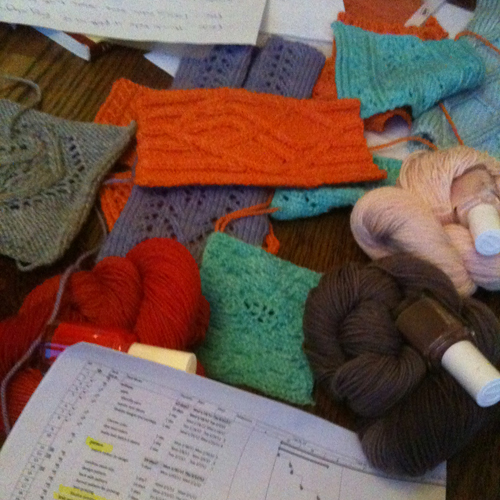 Watch the blog throughout the season, we’ll be posting a lot of knitting lovin’. Thanks! Working on something special this fall? How are those hands holding up? It’s time to put down your needles and pick up a Soakbox. What’s that you ask? We’ve got some great things brewing related to our Soakboxes this holiday season. Watch for knit-a-longs, tutorials, give-aways and Ravelry updates about each design. If you spot someone knitting Soakboxes, do let us know. We’re gathering images, feedback and manicure shots! Our website is stacked wtih new products for all your holiday needs. From stocking stuffers (Handmaid anyone?) to full bottles of Soak, we’ve got your holiday gift giving all sorted out. As for Soakboxes, here are some holiday ideas to start you off. There’s still time to knit before the holiday season! 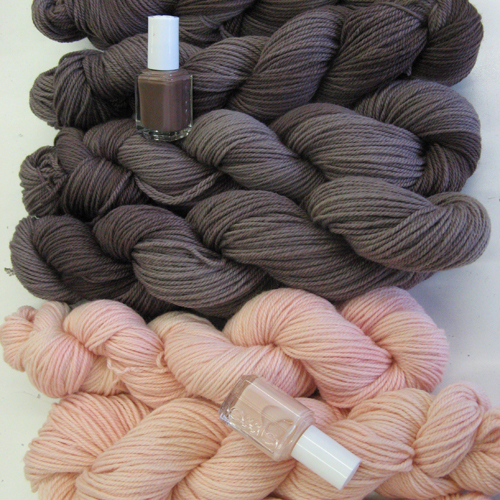 Host a manicure & knit night with friends. Bring some bubbly and knit all night long. Have your LYS host a class around Soakboxes. Have you knit all four yet?